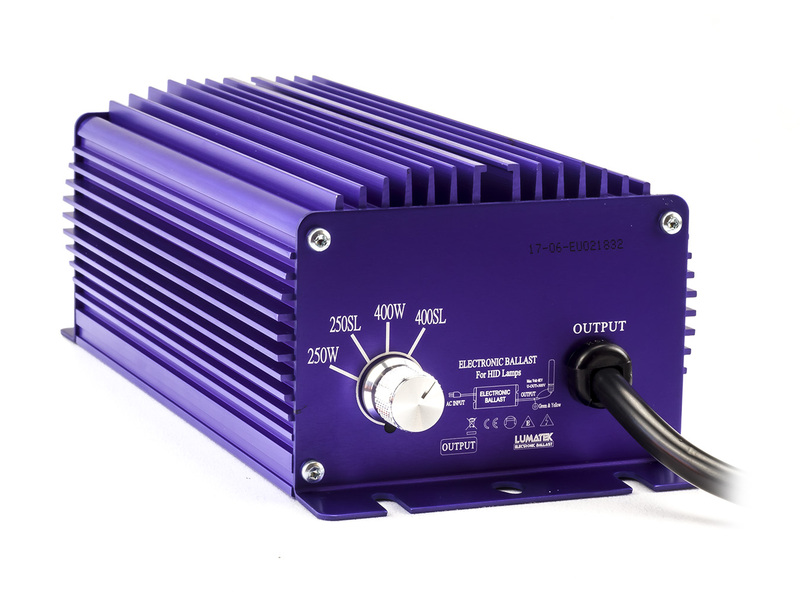 Lumatek 400W digital ballasts are dimmable and produce consistent stable light output which is ideal for pharmaceutical agriculture, controlled-environment horticulture and other uses where precise regulated output is essential. Lumatek ballasts are microprocessor-controlled and feature intelligent start with sequential switching to light lamp faster with safe management of inrush current and balanced load across ring circuit to avoid tripping breakers. When dimming or boosting lamp the ballast uses ’soft dim feature’ to change power output gradually to protect lamp. This ballast is small and compact in design, operates silently with no noisy fan and only weighs 2.5Kg making it easy to handle and mount. 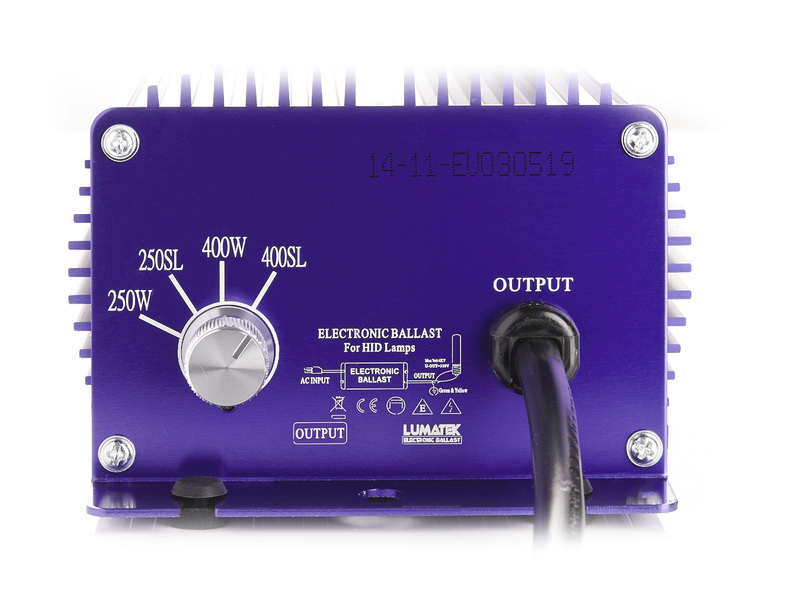 Lumatek 400W digital ballast is extremely efficient producing very little heat and for safety uses full circuit protection including open/short circuit, over temperature, over/low voltage, end of lamp life/rectification and EMI suppression. 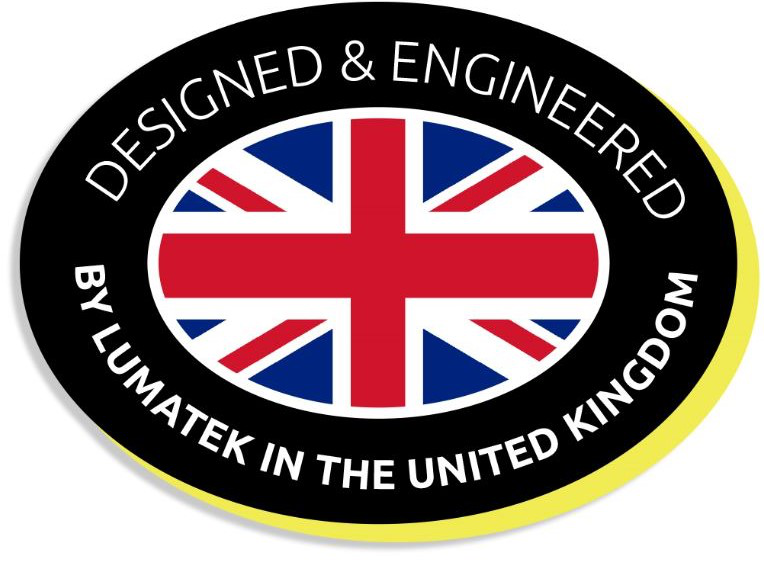 Lumatek use the best quality electronics components and our design ensures longer lamp life with minimum PAR/PPF output loss over time and is dramatically less than traditional magnetic ballasts. Lumatek ballasts light both HPS and MH lamps (please note that Super Lumens (SL) switch cannot be engaged for MH lamps). Four power-output settings at 250W, 250SL, 400W & 400SL. Boost power by 10% by selecting SL settings.